Holiday decorations are causing “phantom alarms” on my Checkpoint system. Your Checkpoint Anti-Shoplifting system is designed to detect a radio frequency (such as RF tags and labels) tuned to 8.2 MHz. If you have placed a Christmas tree or other holiday decoration that contains lights, metallic garland, or any other metallic items within 4 ft. of one of the antennas, it will likely cause phantom alarms. In addition, you should never decorate the Checkpoint antennas with anything metallic, including any wires, foil garland, and other items of that nature. It is always best to never place anything directly on your Checkpoint antennas. Loss Prevention Systems, Inc. (LPSI) is considered the highly regarded nationwide seller of Alpha High Theft Solution Products and Checkpoint Systems around the United States. We have nationwide sales experience, supplies, along with service. LPSI provides much more than shoplifting prevention equipment. Our knowledge of the retail industry and common shoplifting incidents permits Loss Prevention Systems, Inc. to deliver real life training and methods to prevent merchandise theft. 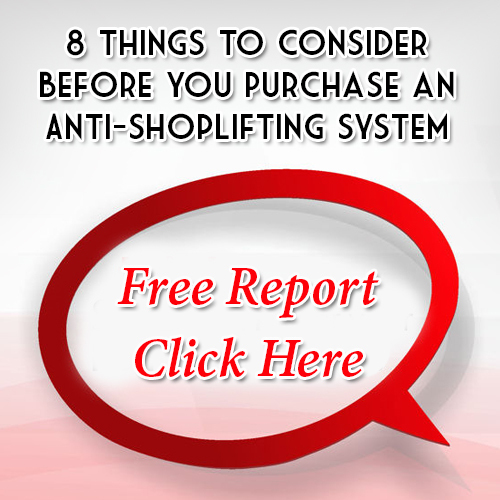 Eliminate shoplifting for good with LPSI and Checkpoint Systems product selections. For additional details on Checkpoint Systems, contact us at 1(866)914-2567 and get the security help you are looking for!